A month after announcing that the Messenger app will get an end-to-end encryption feature called Secret Conversations; Facebook has now started rolling out the feature out to its app users. This feature will effectively provide complete encryption to selected conversations, and keep them on a single device only. Users also have the option to set a timer, after which the messages disappear. 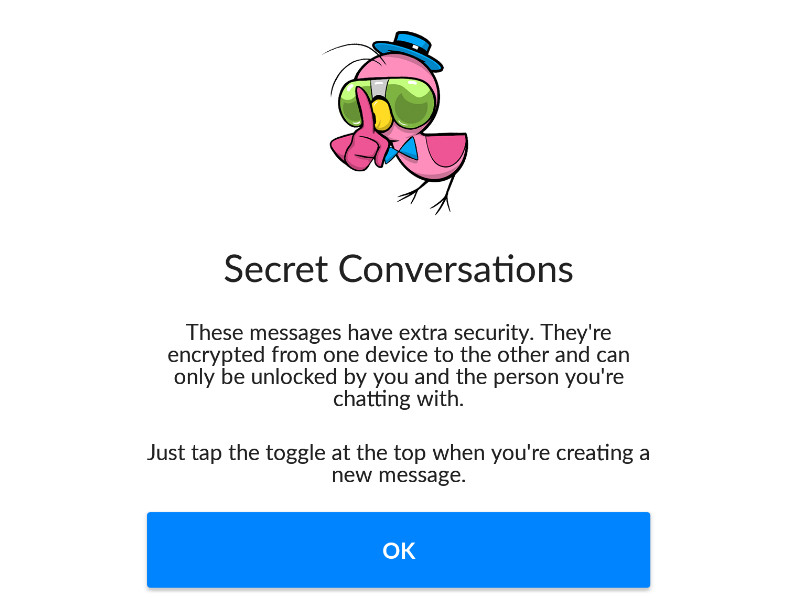 The Secret Conversations feature is being rolled out gradually to Android and iOS users, so for now, end-to-end encryption won’t work for Messenger on desktop. This feature needs to be manually activated for each chat, and does not work across platforms (like how it’s now on WhatsApp). To enable this feature, users need to open the Messenger app, select the user they want to have a Secret Conversation with, tap on the username, and then activate the Secret Conversations feature. There is also a timer icon next to the Secret Conversations option, and users can set a timer to make the messages disappear. The Secret Conversations feature currently doesn’t support some popular features, like sharing GIFs or videos. It also limits the dialogue exchange to just one device, so the conversation won’t show up if the user logs into Facebook from another device. Also, the Secret Conversations with a user will show up differently, and all those conversations that you have with the user without the feature turned on, will be registered separately on the app. The feature is being rolled out gradually, so it might be a while before it reaches you. Unfortunately for now, not all users are able to use the Secret Conversations feature, and even if the option is listed under their profile, most users cannot start a Secret Conversation with their contacts yet. We expect this to be enabled via a server side update soon. Since the Snowden leak, users have been more aware about snooping possibilities and look for alternatives to chat securely. WhatsApp introduced end-to-end encryption in the similar fashion, beforemaking it a default feature across the ecosystem.